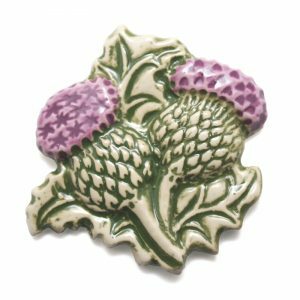 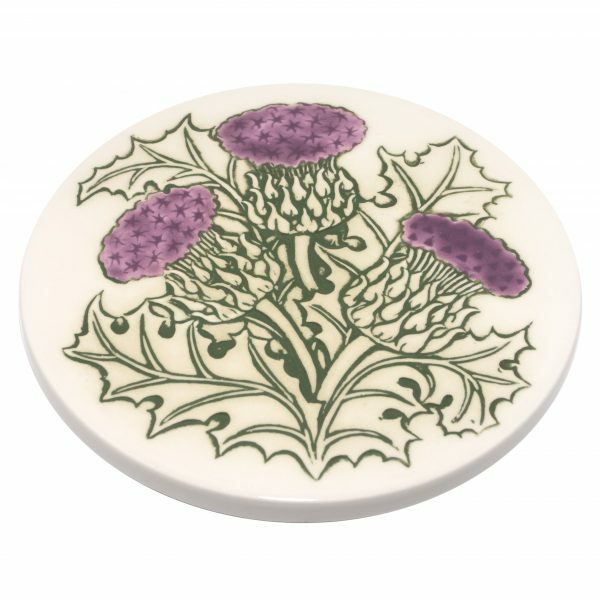 The thistle teapot stand is ideal for keeping hot dishes and pots off your table tops. 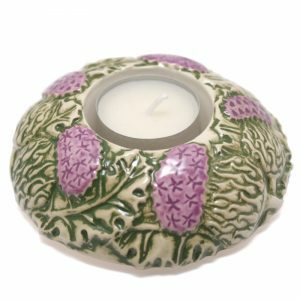 It is decorated with carved thistles the emblem of Scotland. 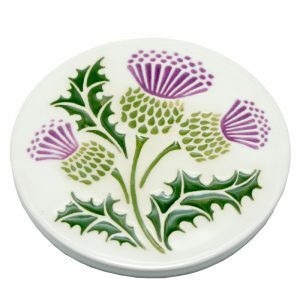 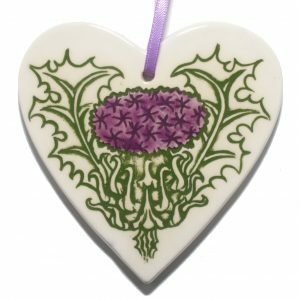 Along side our thistle coasters it gives any table a Scottish theme. The Thistle Teapot stand is made by JSCeramics in Scotland.